A long standing feature of CapturePost has been the ability to print small items such as ID cards, on site, at the time of photography, making the system ideal for photography at registration days for example. Essentially the ID card template is selected in the CapturePost setup and the ID card is printed after each subject is photographed. Printing can begin automatically after each subject is photographed or can be triggered manually with the F10 function key. A limitation of the system is when different ID cards are needed for different subjects. For example the ID card required by staff members may be totally different to that needed for students, while the students themselves may require different ID cards depending on certain criteria. In these situations the photographer must remember to select the appropriate template when photographing different subjects with failure to do so resulting in the wrong ID card being printed. This situation has been addressed in Version 4.7 of CapturePost. Different templates can be automatically selected according to changes in subject data by appending a suffix with a variable @code to a base template's filename. 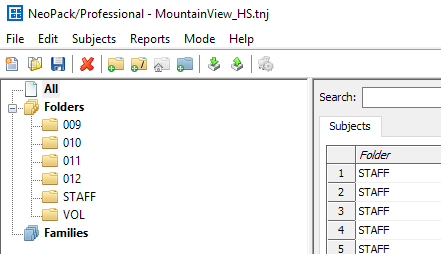 The key factor in enabling CapturePost to dynamically select the item template according to subject data is the ability to specify a suffix to the chosen template's filename. The suffix can include any characters but notably supports @codes. Typically the @code will refer to a subject field, therefore, for each subject, the value of this field is appended to the selected template's base filename. CapturePost will then use this template for printing. Consider a common scenario where students at a school are to receive an ID card as they are photographed. The template for this card is simply named IDCard.pit. However staff at the school are to receive a totally different ID card. Data unique to the staff can be used as a suffix to the template base filename in order to select a completely different template. The job in question has a subject field called "CARD". For the students, the field is left blank with no data. The staff members have the value "STAFF" in this field. This data shall be used by CapturePost to identify the staff members and select the appropriate template. In CapturePost the base ID card is selected in the normal way. Additionally the suffix @CARD is added as per the screen grab below. For each subject the software will look at the CARD field and append any value for that field to the base filename of the template. Where the Card field is blank, CapturePost will use the base - template IDCard.pit. This is the case for the students. Members of staff have the value STAFF in the Card field. For these subjects, CapturePost will append the string STAFF to the base template's filename thereby resulting in IDCardSTAFF.pit. CapturePost will therefore use this template for staff members. A high school requires a different ID card for different students depending on their year level. Furthermore members of staff require a different card design while volunteers and helpers require yet another card. Subjects in the job have been arranged into folders as appropropriate - folders 009 through to 012 for the students, a folder for Staff and another for Volunteers - as per the screen grab below. The base template is again simply IDCard.pit. (Although for this job no subject will actually need the base template). Separate templates have also been designed for subjects in each of the folders resulting in a total of seven templates. In CapturePost the base ID card is selected in the normal way. Additionally the suffix @folder is added as per the screen grab below. For each subject the software will grab their home folder name courtesy of the @folder suffix. The folder name is then appended to the base template filename to give the appropriate template.